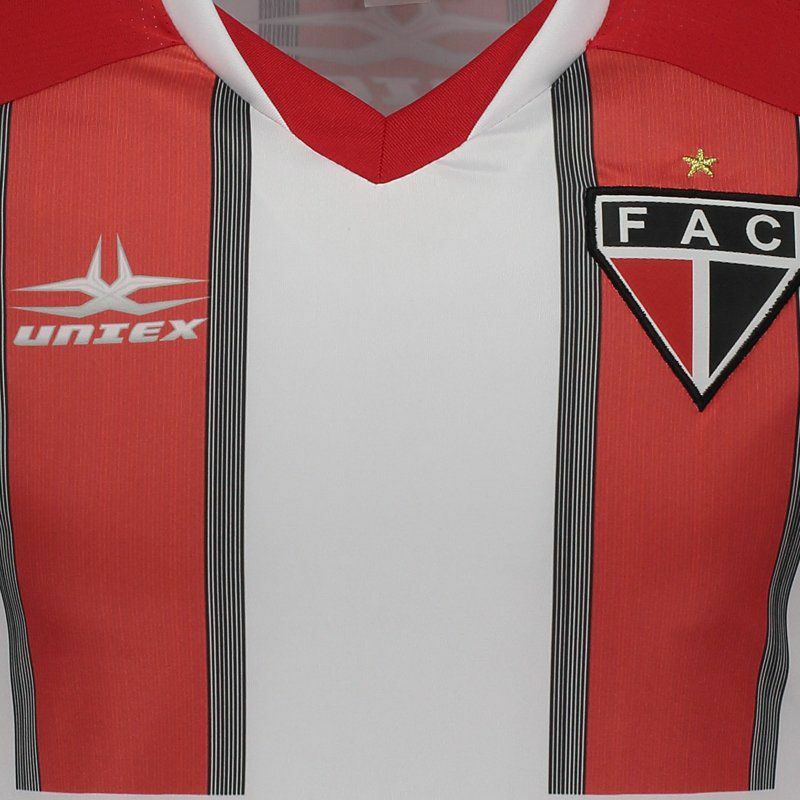 Manufactured by Uniex, Ferroviário's reserve mantle for 2018 offers name customization, using the official team source. 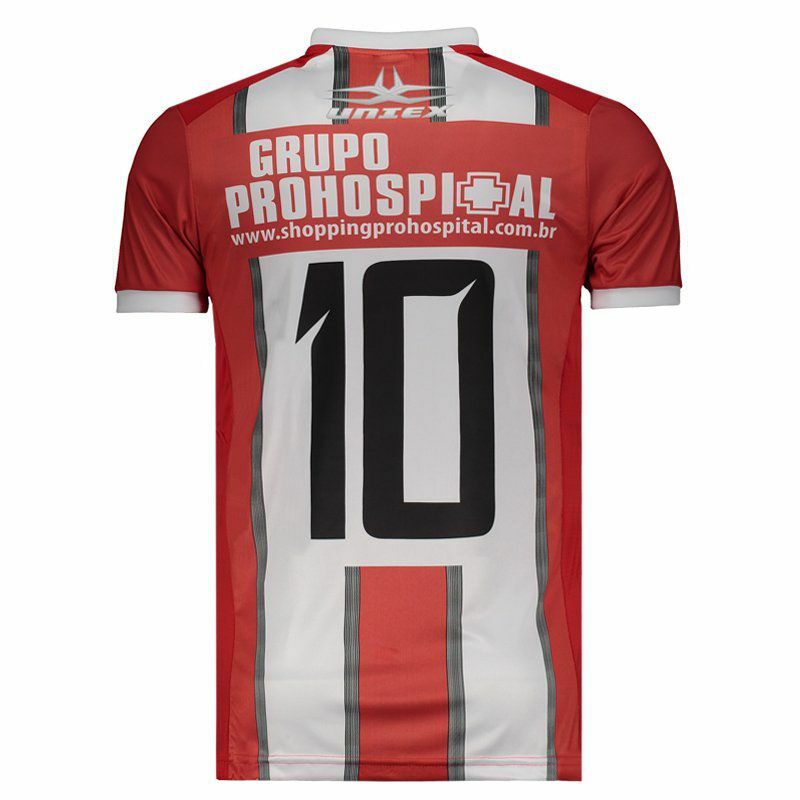 It has an assorted number printed on the back and the design, in turn, brings the red color as predominant with vertical stripes. More info. 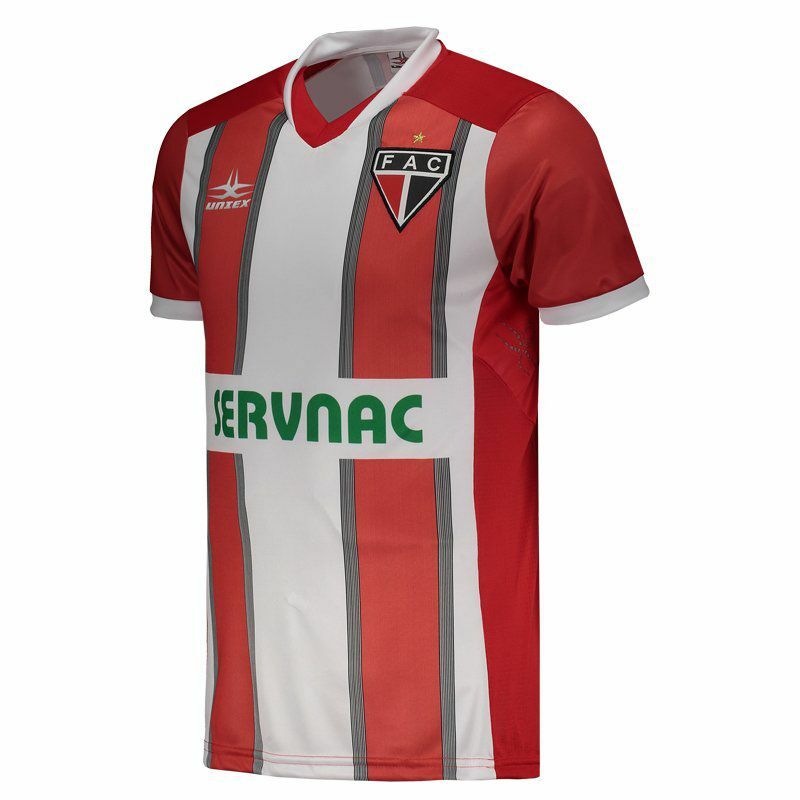 Manufactured by Uniex, Ferroviário's reserve mantle for 2018 offers name customization, using the official team font. 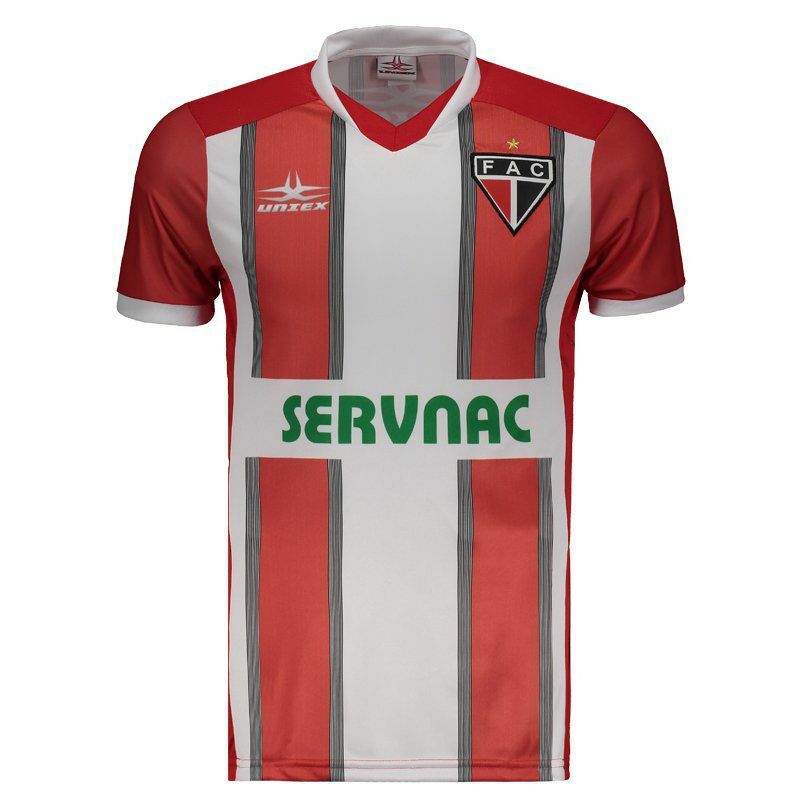 It has an assorted number printed on the back and the design, in turn, brings the red color as predominant with vertical stripes stylized in black and white. On the left side of the chest, the team's badge is embroidered. The collar brings the color white with superimposed fabric, adding modernity to the piece. The cuff of the sleeves comes with ribbed finish, providing a better fit to the body. Finally, produced in lightweight polyester, the piece comes with small laser holes that help keep the body cool and airy during use. Get it now!